My friend Joe carries a big piles of keys that are too heavy for his pocket, so he dumps them out on the table whenever we get together. I photographed them, then transferred the image to wood. 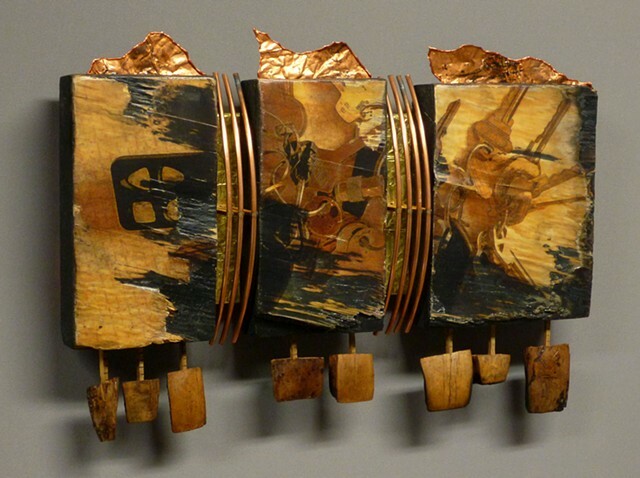 Copper sheets, pieces of a copper reel and little chunks of potpourri on sticks cut from a ruler complete the piece.